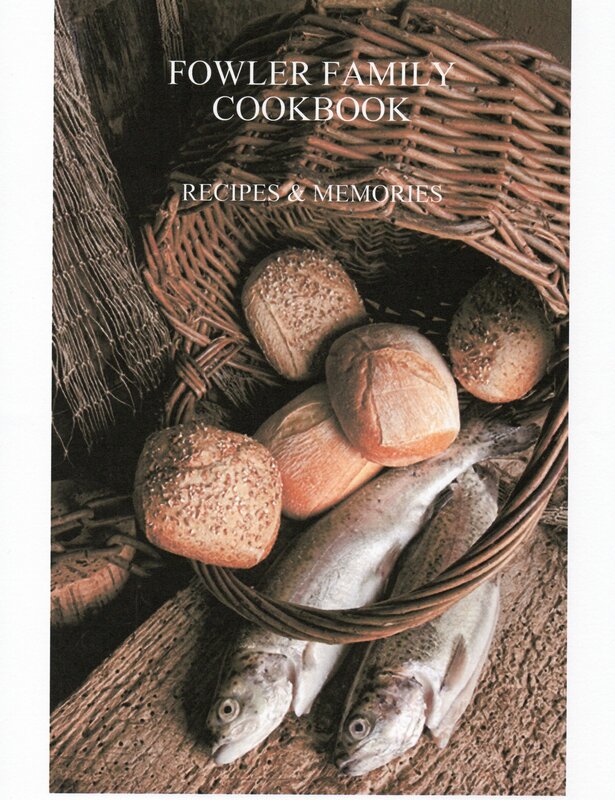 The FOWLER FAMILY COOKBOOK is 206 pages of Delicious Family Recipes and Precious Memories. Some of the FOWLER Ancestry Research is included as well. Beat sugar and oil, then add eggs. Alternating, add the buttermilk and flour. Then add the mixture of food coloring, vinegar and soda mix. Grease and flour 3 cake pans. Cook at 350º for 20 to 25 minutes.